Islam in Cypruswas introduced when Uthmanthe 3rd Caliphconquered Cyprus in 649. Turkish Muslims then settled in Cyprus during the Ottoman rule between 1571 and 1878. The Ottoman Empire gave land grants to its soldiers under the condition that they and their families would stay there permanently. During the 17th century the Turkish population grew rapidly, and it is now the main religion practised in North Cyprus. You can hear the call to prayer five times a day from most places on the island, but the faith is not practised to such an extent that women cover themselves, nor do people abstain from alcohol in North Cyprus! The Maronite community is based in the very north-east of the island in Kormacit/Koruçam, the people are of Christian origin, descended from those who came to North Cyprus from Lebanon and Syria around 1200 years ago. They speak in an Arabic dialect, although many Turkish and Greek words are used. The Maronites belong to the Greek Cypriot community to which, owing to similar religious, linguistic and cultural bonds, they are much closer. They have a Maronite Archbishop who is elected by the Holy Synod of the Maronite Church in Lebanon and confirmed by His Holiness the Pope. There are a large number of Church of England protestant expats and foreigners who attend the Anglican churches in North Cyprus. There is the St. Andrews Church in Kyrenia which holds services on Sundays and Thursdays, and St. Marks which has services on a Sunday both at the Boğaz Hotel and also St Georges Chapel in Famagusta. 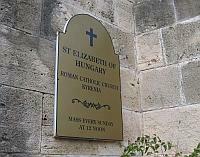 There are also people who practise the Roman Catholic faith in North Cyprus, and mass is held at noon at the St Elizabeth of Hungary Roman Catholic Church in Kyrenia near to the Dome Hotel every Sunday. 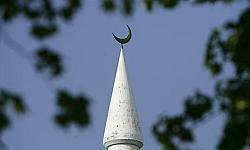 This religion is based upon the spiritual and is an independent religion practised worldwide. Its principles are to bring about the oneness of humanity, and that due to there only being one Creator, the spiritual truth of all religions is the same. There is a small group based in North Cyprus which practises this faith. There are also smaller religious and ethnic groups, such as the Armenian Cypriots who first arrived on the island in around 1915, and also the Latin Cypriots who practise Catholicism as well as Romany Gypsies who are reported to have arrived in Cyprus at the time of the Lusignans.